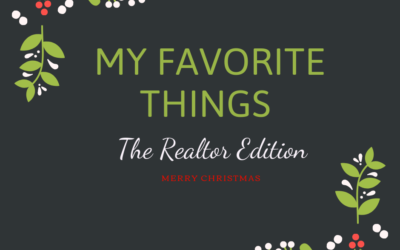 There are so many ideas out there for buyers at the closing table, but it can be slightly harder to find the right gift for seller clients. 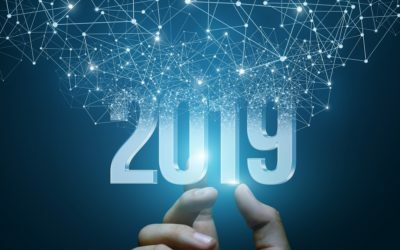 Below, we’ve gathered a list of the best seller closing gifts as recommended by SmartZip clients and trusted friends in the real estate industry. Have a great seller closing gift you’d like to share? Share your ideas in the comments! Sellers are stressed enough as it is on moving day, and may not expect you to be present after the closing. To show her clients that she is still invested in their move even even after the ink has dried on the closing papers, agent Nora Janicki brings a cooler of beverages on moving day, and orders pizza for the moving crew. Whether your seller has hired professional movers or are asking for friends and family to help, they’ll be grateful that you’re working to keep the day stress-free and organized. Agent Lisa Perk likes to gift her clients a sentimental, customized New Nest Pillow. Because her market area, Little Rock, is in the center of Arkansas, their place your heart pillow works perfectly for her clients. New Nest Pillows could work well as a buyer or seller gift. 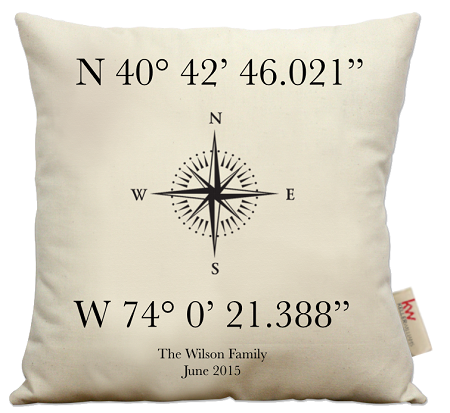 If you’re working with a home seller who is being relocated to another state, consider this pillow that features their sold home’s coordinates for a special gift they’ll treasure even in their new area. Check out the full collection of New Nest Pillows here. While it can be more efficient to buy every seller a similar gift, many SmartZip clients mention that they customize their gift depending on the client’s interests or situation. Agent Rochelle Gamauf says that she looks for clues of what her clients like throughout their interaction, then she purchases an item from the Personalization Mall that represents them. 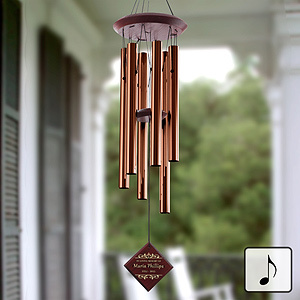 She’s bought everything from a cutting board with her client’s name to personalized wind chimes. 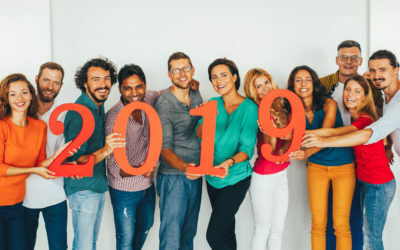 As the Baby Boomer generation begins to downsize from their long-term family homes, we can’t overstate the importance of seller closing gifts that focus on the sold property. Consider a framed drawing or painting of their family home so they will always have a keepsake that represents their many happy years there. 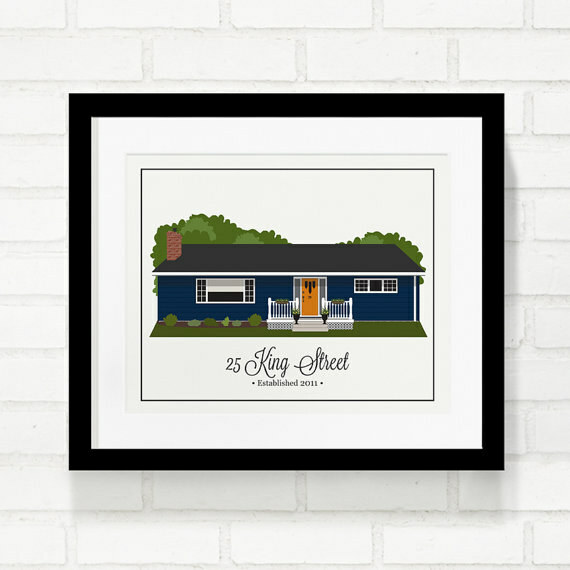 Etsy is a great place to commission these types of gifts -- here’s are example of a modern illustration, one created with pen and ink, and a watercolor painting. You may also consider a portrait of the family in front of the home. Ask the sellers to be present when the listing photographer comes, and snap a few photos of them on the front step before the photographer takes the interior and exterior shots. Get the photograph blown up and professionally framed to present to them on closing day. It will make a bittersweet day all the more special. Last, you may consider creating a coffee table book of exterior and interior photographs of the house. You can easily create the book on Shutterstock, and add your name and contact information to the back cover for a gentle branding boost. Just remember -- this is only an option if the listing photographs represent what the home looked like when they lived there. If you staged the home with completely new furniture or removed their ceramic frog collection from the mantle, consider going with the above recommendations. If you’re hoping to move past traditional gifts, check out Loop & Tie, a gift service that is part of this year’s NAR REach class. 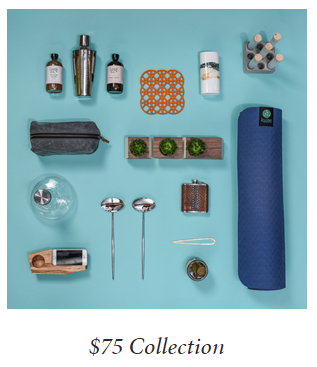 This fantastic company allows you to give “the gift of choice” by sending your sellers a selection of gifts in a specific price point. You can select from gift collections of between $25 and $250, depending on the size of your commission. For the biggest impact that doesn’t get lost in the closing transaction, we’d suggest sending your Loop & Tie gift a few weeks after closing as a thank you. After a successful closing, the last thing you want is a gifting misstep. Avoid these seven closing gift mistakes from Realtor Magazine, and if you plan to write off your closing gift, read this overview to ensure that your gifts meet IRS advertising deduction standards.